In 2004 Clough and AMEC joined forces with the vision of revolutionising asset support services for oil and gas operations in Australia and South East Asia. 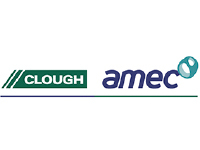 This synergistic relationship combines Clough’s engineering and construction expertise and strong local resource base with AMEC’s worldwide experience in integrated services provision and brownfield project execution. The result is Clough AMEC. We deliver intelligent, engineering led asset support solutions using regional specialists backed by global expertise. Our overarching goal is to maximise the life and profitability of our clients onshore and offshore oil and gas facilities by delivering reliable, schedule driven asset support solutions that work first time, every time. Underpinning our services is a performance driven culture focused on HSE excellence and supported by world class quality assurance and project management systems.